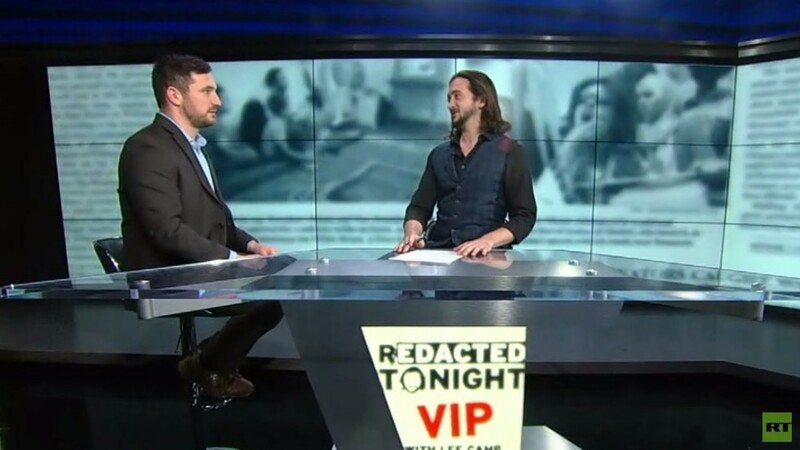 On Redacted Tonight: VIP this week, Lee reports on three international stories and climate action in the US. Yellow Vest demonstrators took to the streets of France for the third month of weekly protests last weekend. This time, they were protesting against police brutality, and French law enforcers proved their point with another brutal crackdown. Also, the strike movement in Matamoros, Mexico has continued to grow and cause distress for the country’s officials. Meanwhile, in the US, a group of activists concerned about climate change briefly shut down the Enbridge Pipeline in Minnesota. Lee also covers an Israeli land grab involving 64,000 acres of Palestinian land. In the second half of the show, Lee talks to RT correspondent and award-winning documentarian Dan Cohen about his coverage of the ongoing coup in Venezuela. Cohen has been covering the coup for RT and the Grayzone Project since it began. His reporting has revealed the US connections of the politician who declared himself to be the unelected leader of the nation with the largest oil reserves in the world. They discuss the details of the coup and what has happened in the aftermath.